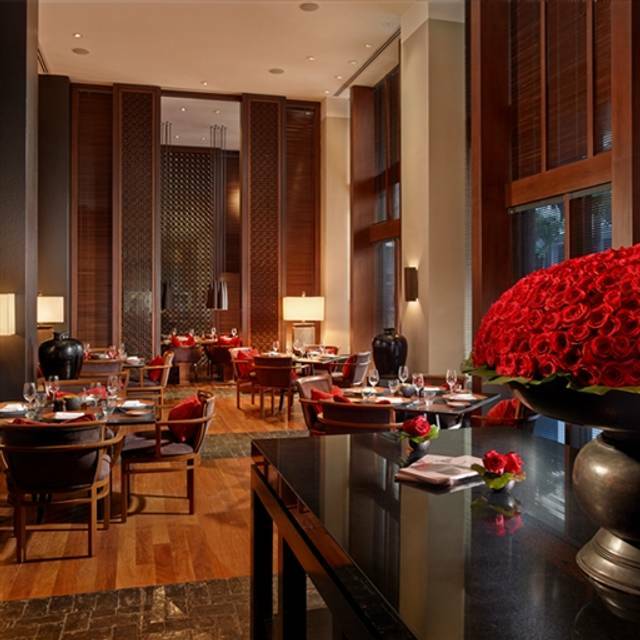 You must make reservations at least 5 minutes in advance of the time at Jaya at the Setai. *Please be advised that the seating for the Sunday Brunch is for 2 hours maximum. Hotel Valet parking is available at discounted rates. Metered parking is available on the street and there is a public lot adjacent to the hotel at 21st Street and Collins Avenue. With a menu designed to incorporate dishes from all over the world, guests can choose from a wide variety of options including American, Chinese, Thai and Indian. Chefs will be cooking at live stations, preparing traditional favourites like waffles and omelettes as well exotic options. If it’s more local fare you’re after, choose from a selection of local crab, oysters, mussels, gulf shrimp, and home-smoked salmon from the seafood bar. Finish the meal off with a decadent dessert prepared by our pastry chefs paired with free-flowing Taittinger champagne. Please be advised that the seating for the Sunday Brunch is for 2 hours maximum. Catering and event facilities for up to 60 guests. Jaya, which means 'victory' in Sanskrit, was chosen by our team to honor of The Setai's renowned interior designer Jaya Ibrahim and the hotel's first decade of successful Asian-inspired hospitality. 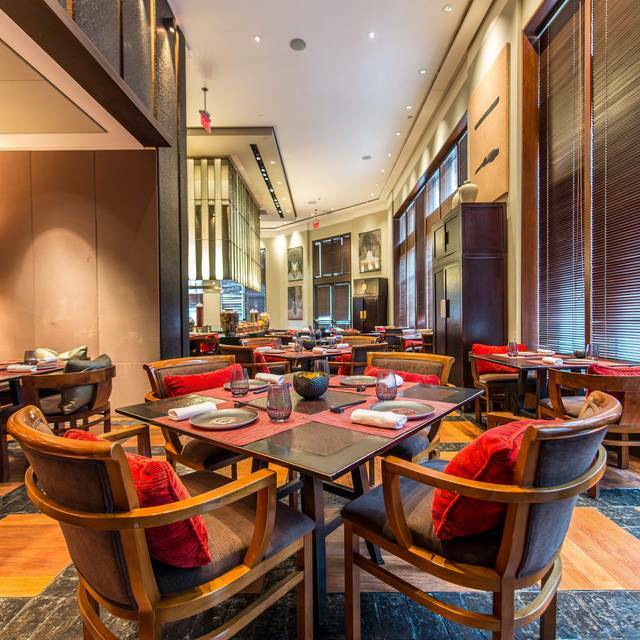 Jaya at The Setai boasts standout dishes from Thailand, Korea, Indian, China and Japan . 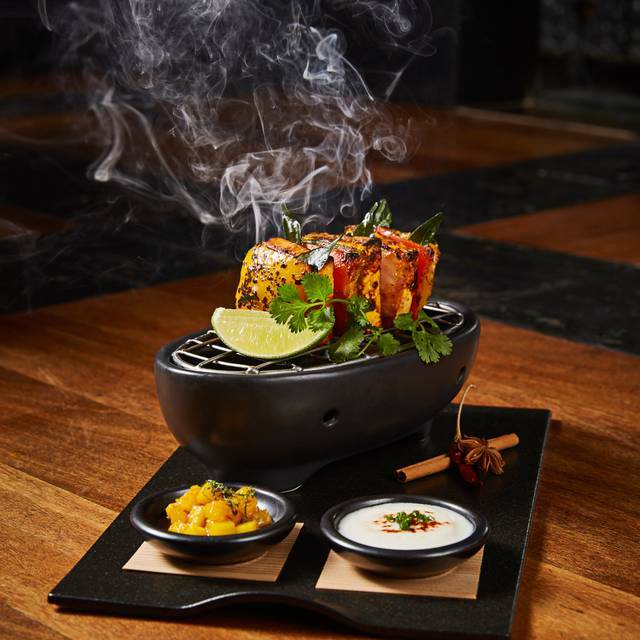 Named one of Miami’s “hottest new restaurants,” Jaya incorporates many traditional culinary techniques from wok stations to tandoor ovens. 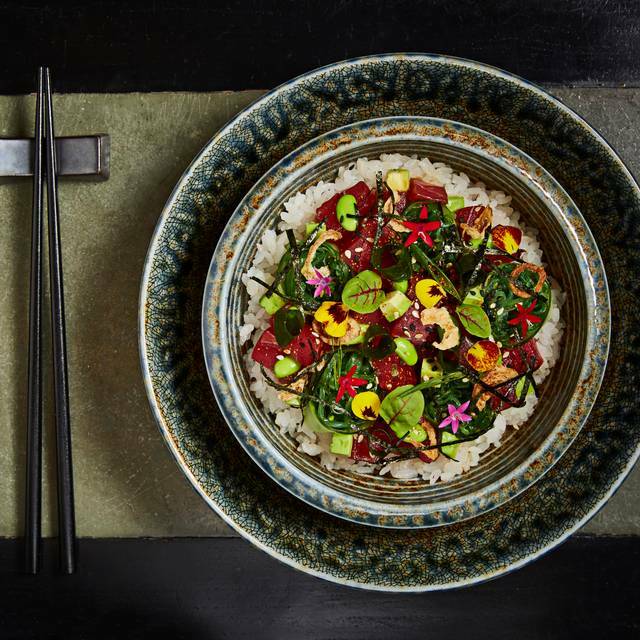 Its menu features bold and modern Asian cuisine with bountiful flavors of turmeric, cardamom, ginger, cinnamon, chilies, coconut milk and tamarind; while also presenting longtime Setai favorites including Peking Duck, Naan breads, Indian curries, Tandoor sea bass and Dim Sums. Join us for our one of Miami's best daily buffets, the Setai Grand Breakfast, which offers continental breakfast favorites; and our infamous Sunday Jazz Brunch with live music, free-flowing Roederer Champagne, carving, seafood, children's stations and more! Everything was wonderful as always. The coconut and chicken soup was amazing, the Peking duck was fabulous, and I ate way too much garlic and cilantro naan bread with curry sauce. The chili passion martinis are my favorite drink anywhere. Great service , great food and special attention from The Manager Elza ! Thanks ! Food was excellent and staff very attentive. A very larger dining area, inside and outside with fully enclosed courtyard. We ate in the courtyard which had both conventional tables and couch like seating. Food and drinks were excellent. Served chocolates for meal ending, which we didn't anticipate. On Friday night they have entertainment, with some women who performed acrobatics and fire "play" along with DJ. Very Chic crowd. I'd certainly go back! We celebrated my husband's birthday at Setai. From the greeter to the hostess to the servers eveyone was friendly and attentive. But the food! Wonderful. 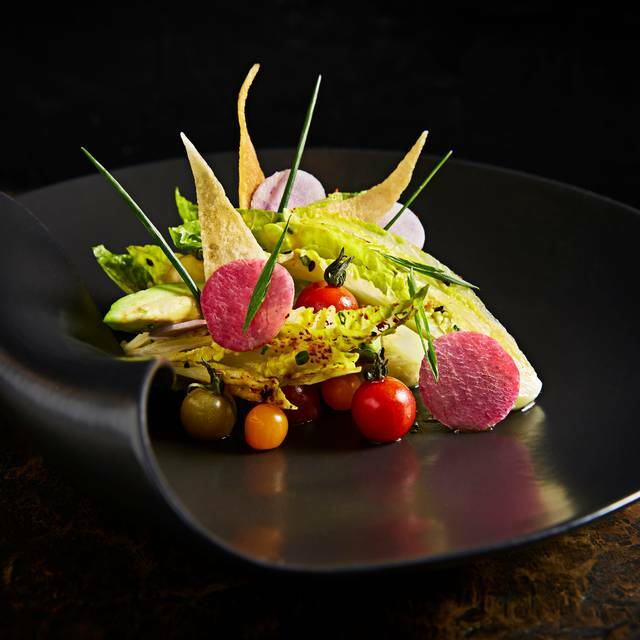 Well sourced and plated quality vegetables, meats and fish. Fair warning, these dishes are spicy! We will definitely return. I highly recommend this beautiful and serene spot (request outdoor seating if the weather permits) for Sunday Brunch as it has more than just your standard American Fare offering Indian and Thai curries as well all of which are delicious. The dessert bar is also a home run if you have a sweet tooth! The setting is stunning but food was just okay and overpriced for the quality. What fun, good food, gorgeous space. This is the place for an excellent, chilled, exotic cocktail and well prepared Indo Chinese dishes. The Peking Duck was exactly as was in Hong Kong. The fish preparations were simple and elegant like Jaya. Incredible decor, incredible ambiance, even better food. 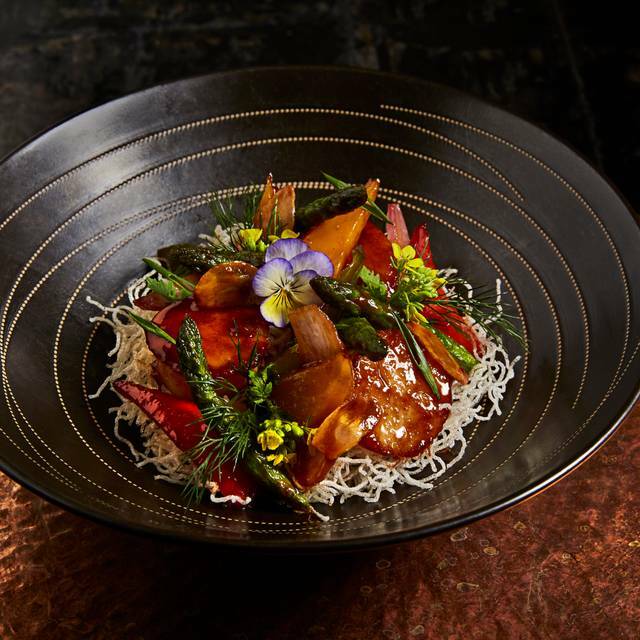 It's the most incredible blend of Indo-Asian cuisine you might ever eat. From a fried egg atop the most tasty fried rice outside of Chinatown to the freshest shashimi and perfectly prepared curry chicken and the best Naan outside of Mumbai, this place will rock your world! Oh, and the rum cake should be illegal it's that good. The rum punch is pretty good too. Amazing food, great service and beautiful setting. Will definitly return. Love it. Not my cup of tea. I didn’t know raw shrimp was a thing. We were visiting from San Francisco and thought to try Jaya at the Setai for lunch after trying out spicy cocktails at the lounge. 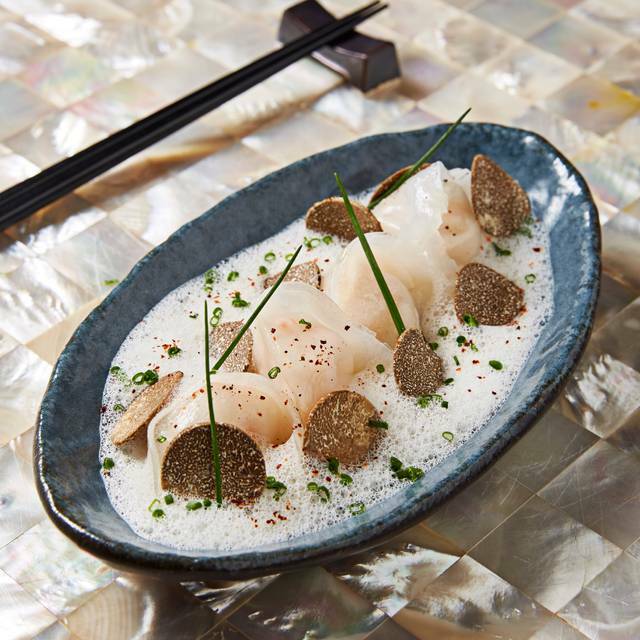 Started with truffle scallop shrimp dim sum outstanding flavors. Followed by pad Thai shrimp and grouper Penang red curry medium spicy. The flavors were fantastic just like Thailand and Chef Ray who is from Orissa even came and chatted with us which made our dining personal experience. Our server Ashley was extremely well observant on drinks, food recommendation, serving style and timing as we had a flight to catch. She was very attentive the entire time and personable!!! 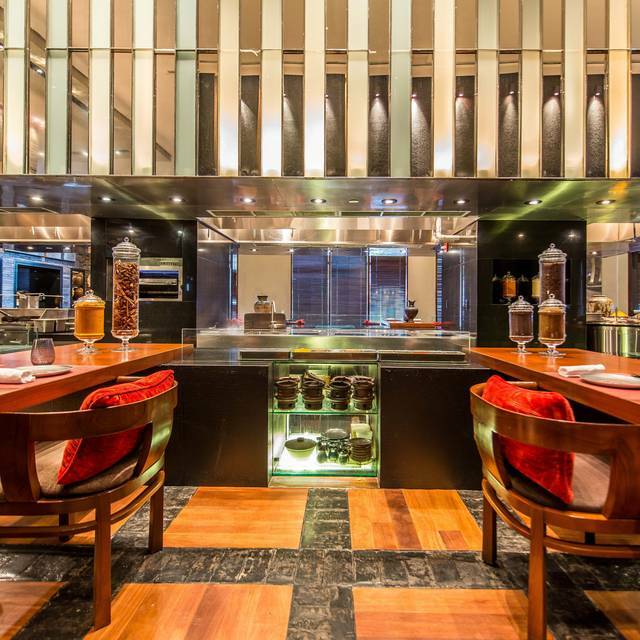 Exceptional dinner experience at Jaya at The Setai. The food, service and ambiance were spectacular. Highly recommend the Short Rib Gyoza and the Miso Black Cod. Probably the best I have ever tried. I will definitely return next time I’m in Miami and I will certainly recommend to others. Best brunch in Miami Beach. Great Sunday buffet with breakfast options as well as Indiana and Thai. Dessert selection is amazing. It costs 95 a person but totally worth it. They have entertainment during brunch. Did I mention bottomless mimosas. Excellent food in a stunning environment. 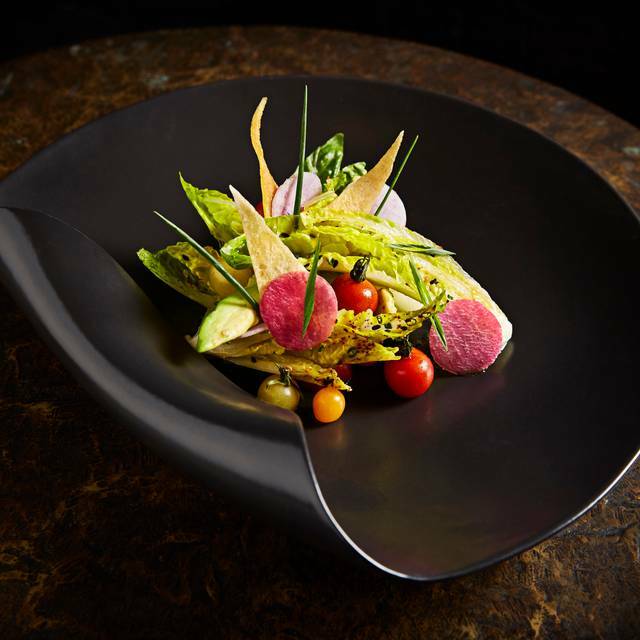 The food is both extremely creative and well executed from the first course to the last. If you are looking for an enjoyable Sunday brunch with great food, drinks and live jazz music this is the place to be. Great food in a great place! Perfect service! Wonderful Brunch, service top notch!! Food excellent. The variety of items on their brunch was amazing, from breakfast items to asian cousine, even freshly made Naan! Bautiful and delicious food in classy Asian atmosphere. I went with my partner for dinner on a Saturday night and we had the seafood salad starter followed by the Sea bass Indian dish and the Milk & honey dessert. All was delicious and the main was actually big enough for 2 people so great value. Service was attentive and with a smile just as one would expect. Cocktails were delicious too so all in all a great meal. Nothing to brag about. Way overpriced. Service charges and tip are almost 40% of your bill. Its always so pleasant to be surrounded by great managers, waitresses and great food! My favorite place ! Fabuleux! A faire sans hésitation. la cuisine est exquise, raffinée et recherchée. le service est parfait, et l'endroit est de toute beauté. Restaurant was nice, but felt sterile and vapid. The King Crab Salad and Steamed Shrimp dumplings were amazing. However, the Pad Thai and Nasi Goreng listed under the Specialties were underwhelming and I get those dishes were no different than Thai take out. The hostess was less than friendly when we arrived. We sat in the exterior dining area but wasn’t told smoking was allowed. This information should be shared upon being seated as some people don’t want to smell cigarettes while having a nice dinner. Our server, Anastasia, was very nice. We went for brunch and it was amazing! I love it! Outstanding food and service and a stunningly beautiful restaurant. Great food, excellent service. Will definitely return next time we’re in Miami. great south beach restuarant. only catch is when you make a reservation it does not indicate inside or outside... and everyone wants outside...so that might cause a BIG delay in getting seated. Sempre tra i migliori! Sia se si val per il brunch sia per la cena. Menù molto vario. Went for Sunday Brunch. Beautiful patio with great jazz and unlimited champagne! The food presentation was so unique and so flavorful. Desserts were very goid and service was impecable. Its well worth the price.